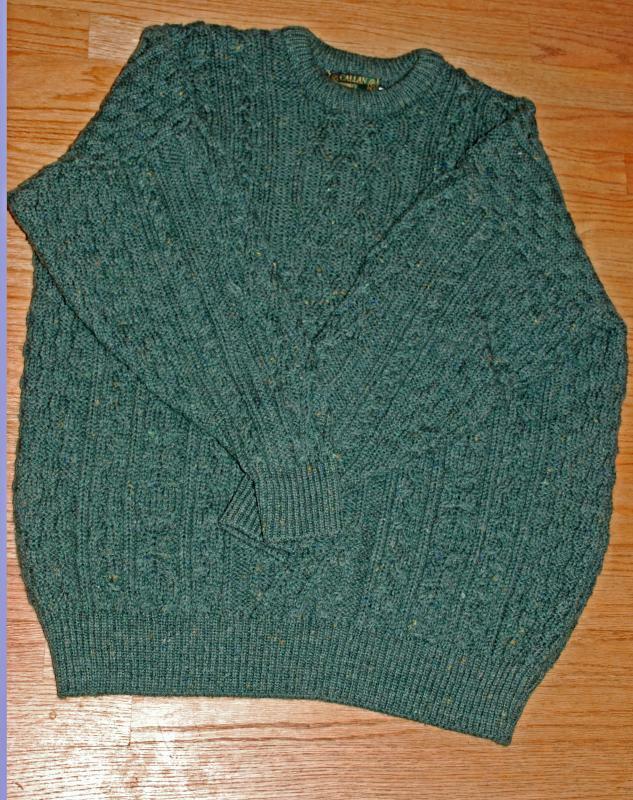 Callan County Irish Fishermen’s Aran Knit Sweater, 100% Pure New Wool size XXL , Dark Green with flecks. 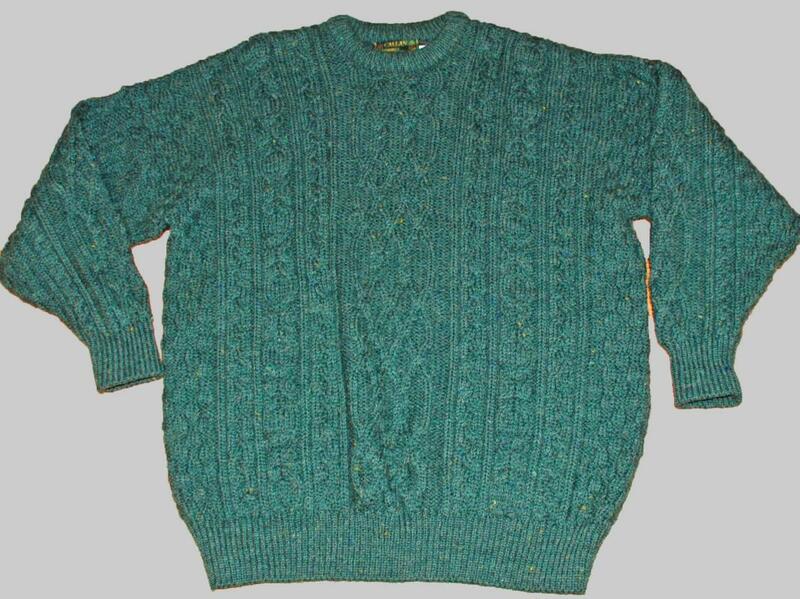 Callan County Irish Fishermen’s Aran Knit Sweater, 100% Pure New Wool size XXL , Green with flecks. 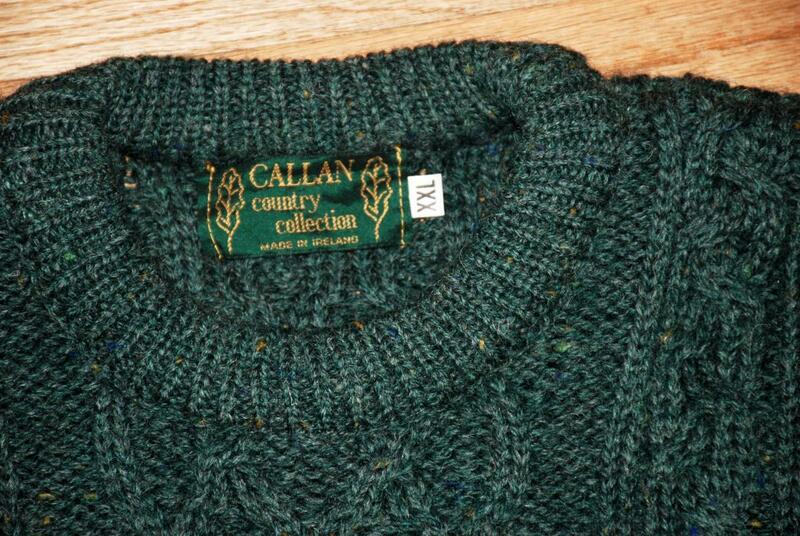 This cable knit sweater was made in Ireland using the traditional Aran patterns, trellis and rope patterns. It is very thick and extremely soft and the weave is loose so you feel room to move without restriction. So comfy you will probably want to sleep in it. 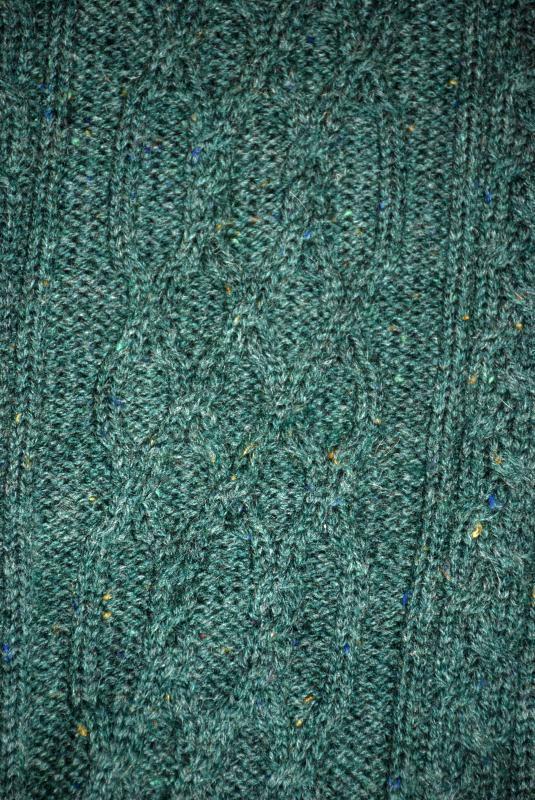 It is dark green with flecks of yellow and other colors here and there but the flecks are not overly done. It is pre-owned but the condition is excellent. No holes or snags. It is clean and ready to wear. It is marked a XXL.